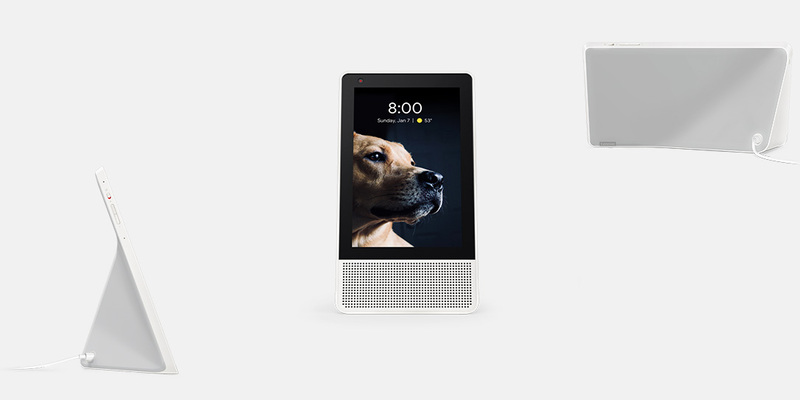 Lenovo’s new Smart Display with Google Assistant seems to be chasing would-be buyers of Amazon’s Echo Show. Lenovo continues its CES 2018 announcements this time with their new Android-powered Smart Display and Miix 630 PC. The Miix 630 includes a Qualcomm Snapdragon 835 with 4G/LTE built-in and is a detachable 2-in-1. While that device is interesting I think more people will find the Smart Display even more interesting. The displays come in 8-inch and 10-inch sizes and have Google Assistant integrated. This looks to be a play at Amazon’s Echo Show device which also has a touchscreen but with Alexa built-in. The displays look to want to be your central hub for controlling your IoT devices and consuming content. 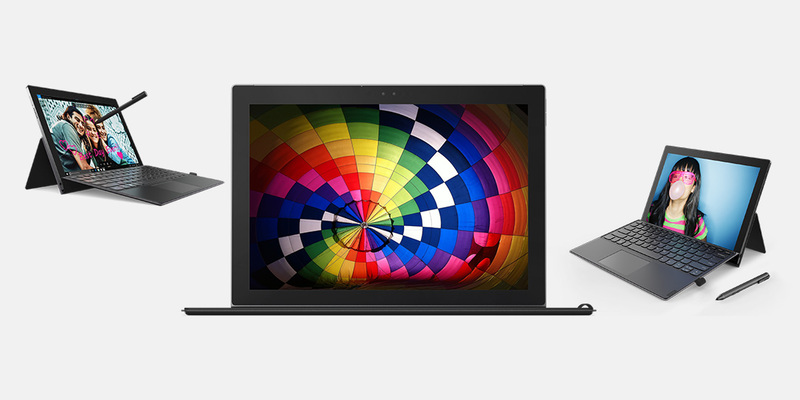 Check out the full details below on these new devices from Lenovo. The Miix 630 is Lenovo’s first device built around the new Qualcomm Snapdragon processor and combines blazing-fast 4G connectivity with up to 20 hours of battery life. Like a smartphone, this combination means you’re always on and always connected. The built-in infrared camera supports Windows Hello sign-in and the fanless design allows the Miix 630 to be thin and light. 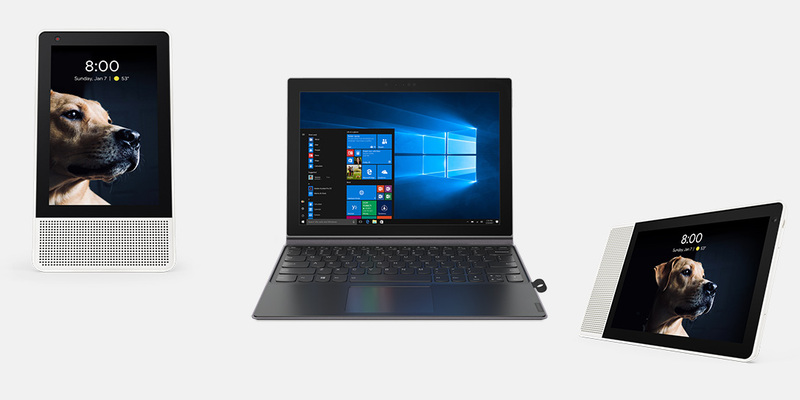 The Miix 630 has a detachable keyboard and the Lenovo Digital Pen uses Windows Ink to write directly onto the Miix 630’s screen to take notes, sketch, or sign a form. Lenovo Smart Display with built-in Google Assistant is voice-and touch-controlled and it’s there to help you around the home. 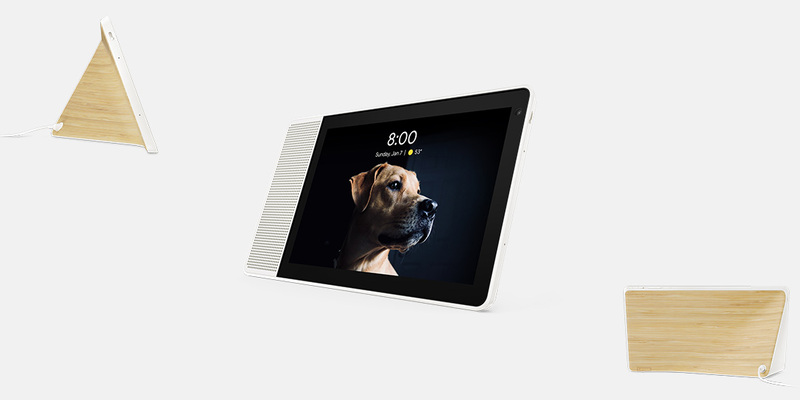 With its brilliant 8″ screen, it will show you the way with Google Maps, play your favorite music, watch YouTube, or relive moments through Google Photos— simply by asking. Find the quickest route, check the weather, or listen to the news without pressing a thing. Catch up with your family and friends over a video chat or call via Google Duo—or use it as a command hub for smart home devices, including those through Nest® and other manufacturers from lighting to heating and more. Set reminders, make a list of things to do, or check the schedule without lifting a finger. Lenovo Smart Display with built-in Google Assistant is voice-and touch-controlled and it’s there to help you around the home. With its brilliant FHD 10.1″ screen, it will show you the way with Google Maps, play your favorite music, watch YouTube, or relive moments through Google Photos—simply by asking. Find the quickest route, check the weather, or listen to the news without pressing a thing. Catch up with your family and friends over a video chat or call via Google Duo—or use it as a command hub for smart home devices, including those through Nest® and other manufacturers from lighting to heating and more. Set reminders, make a list of things to do, or check the schedule without lifting a finger. The Windows 10 S powered Miix 630 might appeal to some users but I think more people may find the Smart Display more intriguing. What do you think? Let us know in the comments below or on Google+, Twitter, or Facebook.